"The Men in Black were elevated to superstar status in 1997 in the hit movie of the same name. 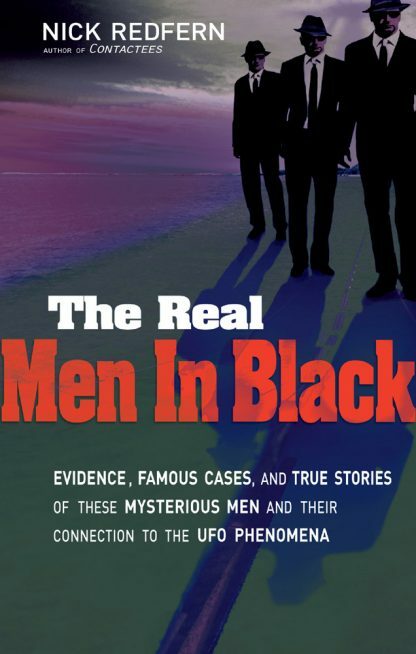 Although the Hollywood blockbuster was fiction, the real Men in Black have consistently attempted to silence the witnesses of UFO and paranormal phenomena since the 1950s. In The Real Men in Black, author Nick Redfern delves deep into the mysterious world of these mysterious operatives. He reveals their origins and discusses classic cases, previously unknown reports, secret government files, and the many theories that have been presented to explain the mystery. Exclusive interviews with leading researchers of the MIB phenomenon"